Office space prices ranging from RM600 - RM1368 per month. This coworking workspace is situated in the heart of Subang Jaya in an area popular with college and university students. The building is surrounded by restaurants, cafes and food trucks making this a very convenient place to work. Opening October - A community, office environment for entrepreneurs, freelancers, startups, SMEs and more, that offers a supportive vibe and where everyone is encouraged to share their unique ideas. 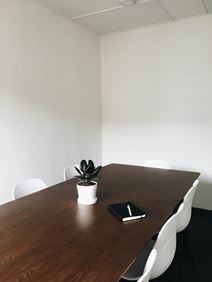 Offering more than just office space, this members and employers of this space are here to help you thrive and make your work experience more meaningful. Conveniently located in UOA Business Park, this centre is part of MSC Malaysia Cybercentre and is housed within a building that is home to state-of-the-art facilties, a grand lobby with dual entrances and multiple drop off points for easy access. The park itself includes a retail centre that accommodates all your retail conveniences, and it's accessible via Subang Jaya LRT and KTM station within two minutes walk. This centre is set on the eighth floor of an iconic building, and offers superb office accommodation ideal for a range of business types. The site is close to many restaurants, shops and other amenities, and is easy to access via numerous local transport links.